As software in Windows application layer, any music player cannot recognize the Bluetooth headset, only the system sound card which can be recognized, and only the default system sound card. Right-click volume control icon in the lower right corner on the desktop, select play device then you can see all of sound cards and which one is the default. The Bluetooth Audio is our BlueSoleil virtual sound card which also can be found in the device manager. 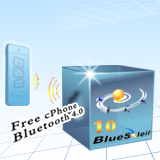 When play music, the music will send data to Bluetooth Audio sound card driver first, then our BlueSoleil software will read the data to the application layer and deal with it with the Bluetooth stack, then send to Bluetooth USB devices in “Figure 2”. This device corresponds to our specific Bluetooth adapter. Finally, the music data is sent to Bluetooth headset via Bluetooth adapter and music is played out. When your Bluetooth headset plays without sound, do not worry, as previously mentioned, first open audio playback device in Figure 1 to confirm whether the Bluetooth Audio is the default play device; If not, right-click the Bluetooth Audio, select to set as default device. 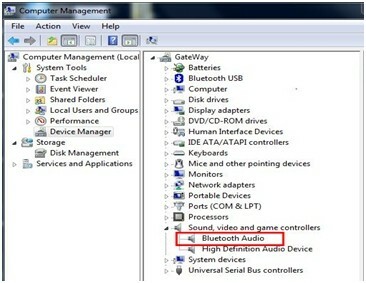 If there is no Bluetooth audio in the audio playback device as shown in Figure 1, you need to check the Device Manager as shown in Figure 2. May be there is one yellow exclamation mark of Bluetooth Audio in the device manager, you need to run cmd.exe on the PC side in this case (On the keyboard, press Start + R key) , put in “regedit” in the popped dialog, and access to the registry as shown in Figure 3. 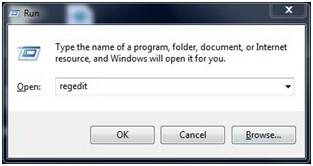 Find HKEY_LOCAL_MACHINE\SYSTEM\CurrentControlSet\Services\BlueletSCOAudio to delete it , then restart the computer, when headset is reconnected which will be normal (note: do not delete BlueletAudio). 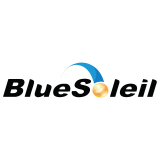 When install BlueSoleil latest version, BlueletAudio will be deleted, the method is only used by older versions users. 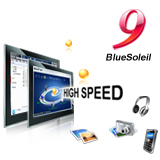 If you feel trouble please download the latest version from BlueSoleil website. Remember, if you see the state of Figure 1, mostly is correct. If still there is no sound maybe there is problem with your hardware. 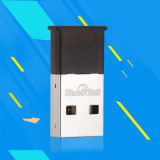 Welcome to BlueSoleil website to choose Bluetooth adapter. http://www.bluesoleil.com.